Long are the days of grainy images and scrolling through hours of irrelevant surveillance tapes (in hopes) that you’ll find exactly what you’re looking for. In the world of digital technology, IP cameras are conquering the lesser analogs, claiming their throne of security built upon the carcasses of now-useless DVRs. In this giant sweep to rule, IP cameras are granting clearer resolution, reduced bandwidth, and even lower costs. Could IP video technology really save the kingdom of security? For those new to the world of digital surveillance, IP cameras really are king when it comes to saving you money, time, and bandwidth. Yes, even bandwidth. 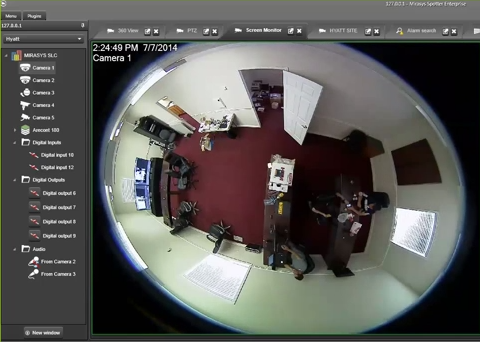 IP cameras have the ability to record video with less storage, less noise, and strengthened clarity. No matter the time of day, location, or specific elements of the scene you are recording, IP cameras are basically the savior of surveillance. Intrigued? Skeptical? Worried the switch will spike your bandwidth? Don’t be. Sticking with top IP camera companies such as Bosch, Samsung, and Mirasys will CUT down your bandwidth consumption. When looking for which IP camera to buy, it’s important you keep the following features in mind. iDNR processing effectively reduces network bandwidth requirements and subsequent storage costs while maintaining high quality and detailed images. Essentially, this feature can cut your bandwidth consumption in half. 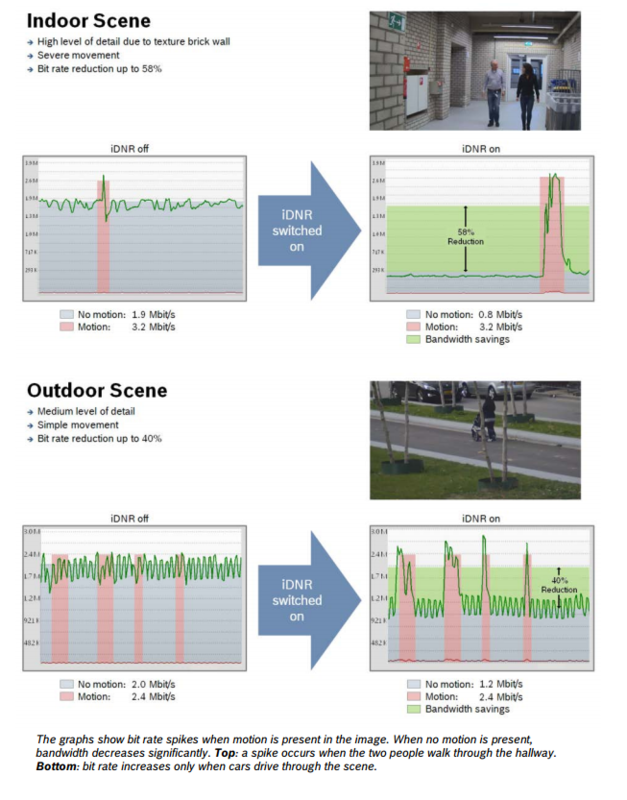 iDNR has the ability to reduce noise in an image based on motion and light levels, while delivering up to 50% bit rate reduction over standard variable bit rate in scenes without motion. Starlight technology grants you the power to see even in the darkest of light with limited bandwidth consumption. 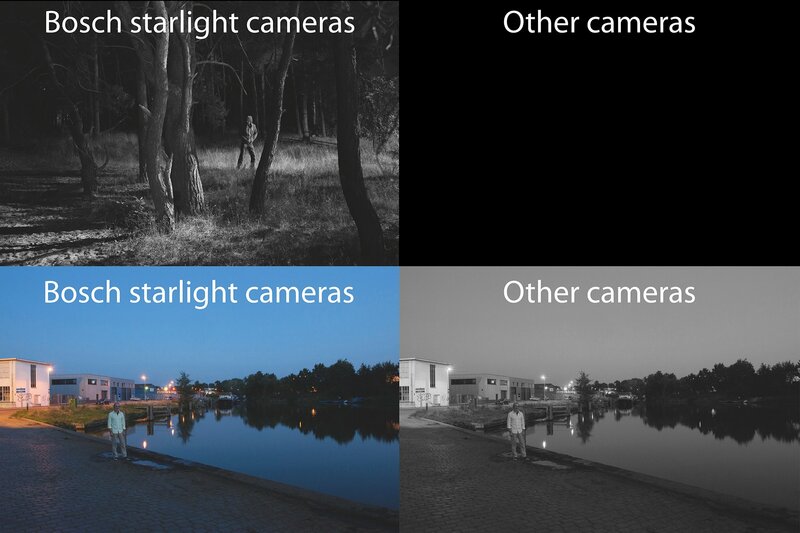 Cameras equipped with starlight might as well be a set of full-colored, night vision goggles. Outdoor security can be vastly improved with high frame rates of 60 frames per second, and the ability to see clear images even down to .00275 lx. Also complete with iDNR technology, these cameras will additionally free up storage and reduce network strain. Cut down on bandwidth by cutting down on cameras themselves. By utilizing 180 and 360 degree cameras, you’re able to analyze a wider range. With the ability to pan, tilt, and zoom within a scene, 180/360 cameras can give you the power of Google Earth in the conference room. Check out Nate Stephenson’s (VLCM’s Director of Security and Audio Visual Integration) Mirasys 180/360 demo here at the 15:30 mark. Capture clearer videos while cutting down bandwidth consumption. Click the button below to request your FREE physical security assessment.